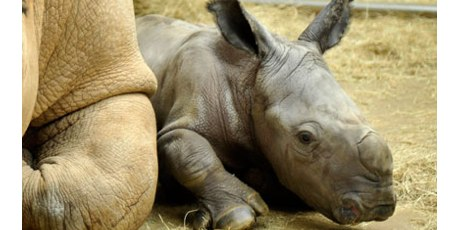 The rhino is being hunted into extinction and could disappear forever unless we act now. Shocking new statistics show 440 rhinos were brutally killed last year in South Africa alone — a massive increase on five years ago when just 13 had their horns hacked off. European nations could lead the world to a new plan to save these amazing creatures but they need to hear from us first! Fueling this devastation is a huge spike in demand for rhino horns, used for bogus cancer cures, hangover remedies and good luck charms in China and Vietnam. Protests from South Africa have so far been ignored by the authorities, but Europe has the power to change this by calling for a ban on all rhino trade — from anywhere, to anywhere — when countries meet at the next crucial international wildlife trade summit in July. So far this year one rhino has been killed every day in South Africa, home to at least 80% of the world’s remaining wild rhinos. Horns now have a street value of over $65,000 a kilo — more expensive than gold or platinum. The South African Environment Minister has pledged to take action by putting 150 extra wardens and even an electric fence along the Mozambique border to try and stem the attacks — but the scale of the threat is so severe that global action is required. Unless we act today we may lose this magnificent and ancient animal species permanently. Some Chinese are loudly lobbying for the trade in horn to be relaxed, but banning the trade in all rhinos will silence them. With the EU’s leadership, we can bring these international gangsters to justice, put the poachers in prison, and push for public awareness programmes in key Asian countries — and end this horn horror show for good. In 2010, Avaaz’s actions helped to stop the elephant ivory trade from exploding. In 2012, we can do the same for the rhino. When we speak out together, we can change the world — last year was the worst year ever for the rhino, but this can be the year when we win.